It is our pleasure to welcome you to our family of renters! We want to make the process of finding an apartment as easy as possible. We will do our best to help you find an apartment that fits your budget, your lifestyle and your stuff. We manage apartments ranging in size from studios to 4 bedroom apartments with rents ranging from $500 to $1,500 per month. 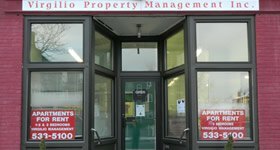 We manage both market rate and low-income apartments. We don’t charge you a finder’s fee, a commission or an application fee. Unlike a realty company who’s relationship ends when you find the apartment, ours is just beginning. We want to make sure you will be happy when you find that place to call home! The first step is to apply on-line or to download and fill out our rental application. This can be done by downloading the application from the website, printing then faxing or mailing it or by coming into the office in person. Unfortunately, there are no shortcuts here; we require everyone to complete an application. We will do a background check and credit check and we will verify rental history. If this is your first apartment we will require a guarantor. We take it seriously and you should too. 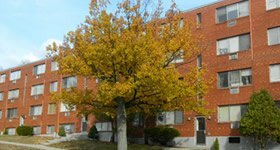 If you do not meet the income requirements for our market rate apartments we would be happy to add your name on our low-income waiting list. We look forward to helping you find a place to call home!